We take great care in the design and manufacture of high quality, robust and reliable equipment. 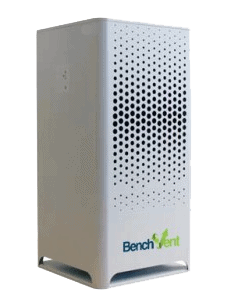 We provide a lifetime guarantee for all BenchVent manufactured products. Please read the terms and conditions of your guarantee (below), tick the box to confirm acceptance, then complete the form to register your BenchVent product. In the unlikely event of any machine supplied by the Company being found to be defective, the Company shall be responsible for the repair free of charge for labour and materials or (at its discretion) replacement of the machine. 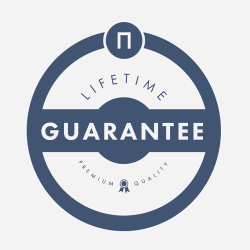 The lifetime guarantee will be invalidated after 12 months from the date of delivery if any of the following conditions are not met. Filters must be replaced as recommended. Carbon and particulate filters should be changed at least every 6 months. If the machine is constantly in use, then particulate filters should be changed more frequently. Failure to meet this condition will invalidate the guarantee. Only genuine BenchVent replacement filters should be used. Machines must not be overloaded or used improperly. The correct electrical supply (as specified) must be used at all times. Naked flames and sparking devices must be kept well away from extraction cabinets. All filter elements must be fitted correctly. Filters must never be turned around as already deposited particulates may break off and contaminate the carbon filter and/or fans. No unauthorised repairs shall have been made to the machine. *with the exception of spray tanning, arm based solder extraction and downdraught benches where a standard one year guarantee applies.